Why yes, this is another progress post about my Bittersweet Symphony Quilt. Good things take time, right? Looking back through my blog, I realised that this quilt has been well over a year in the making. Honestly, I'm normally a sew, sew, sew until it's finished kind of person - rather than a long term 'work in progress' person. 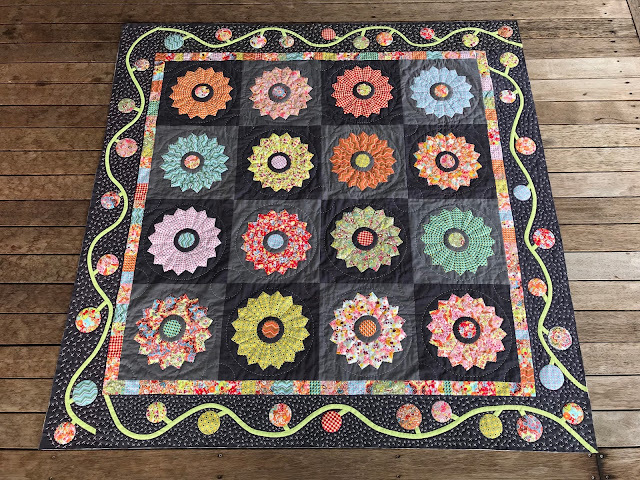 You can see previous Bittersweet Symphony Quilt posts HERE and HERE and HERE. Well can you guess what happened the other day?!?! 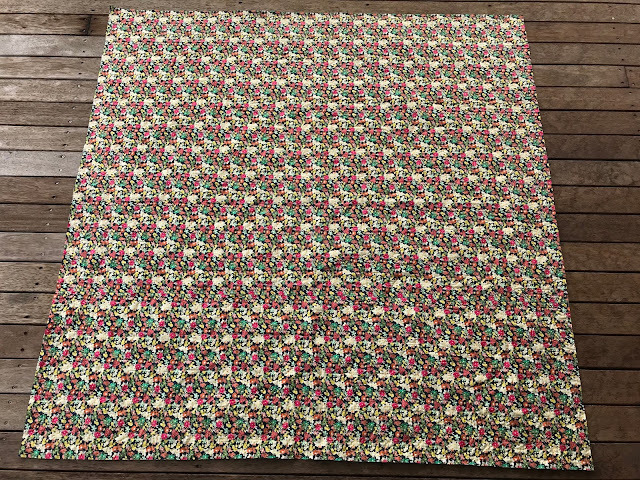 I FINALLY finished the hand quilting. Oh my goodness, what a relief! Those little crosses in the border were a good idea when I started, but gee whiz they took a really, REALLY long time. I've had a lot of questions about the back of the quilt, well here's a couple of pictures of the back. I used a very bright and busy backing fabric which is just perfect to hide all of the hand quilted stitches on the back (especially the big cross over ones when I was working on the crosses). 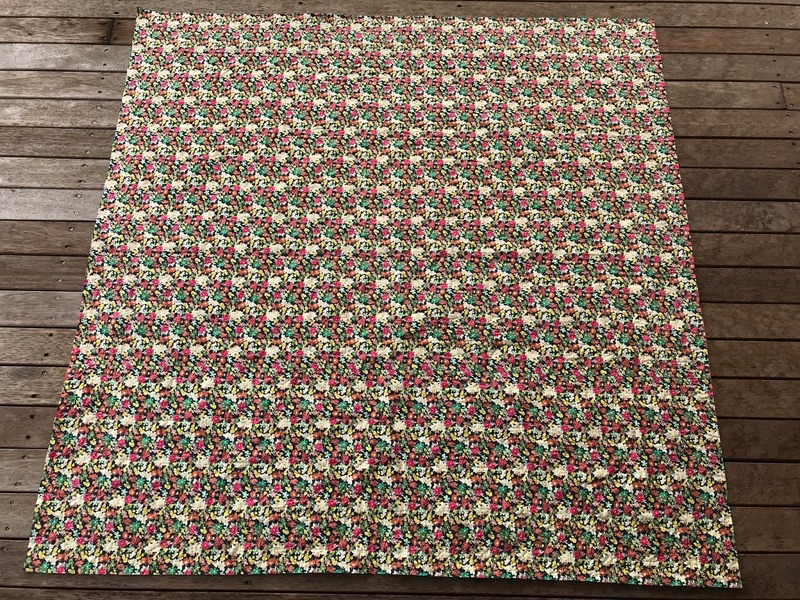 The backing fabric is by Pat Bravo in her Carnaby Street range for Art Gallery Fabrics. It's a pieced back, but as luck would have it, you can't really tell where the seam is... well unless you look really closely. 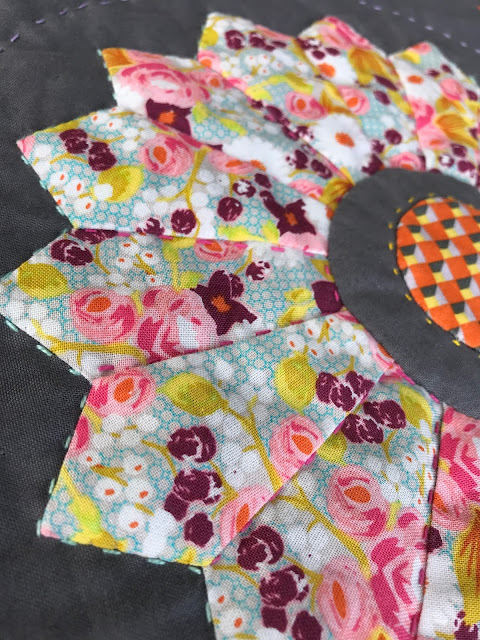 Next time you see the Bittersweet Symphony Quilt in the title up there on the blog, it will be to share the finished quilt. I just need to add a hanging sleeve and the binding. Now, speaking of binding, what binding fabric would you use? More of the same bright scrappy fabrics or the solid grey? I'd love your advice to help me decide. 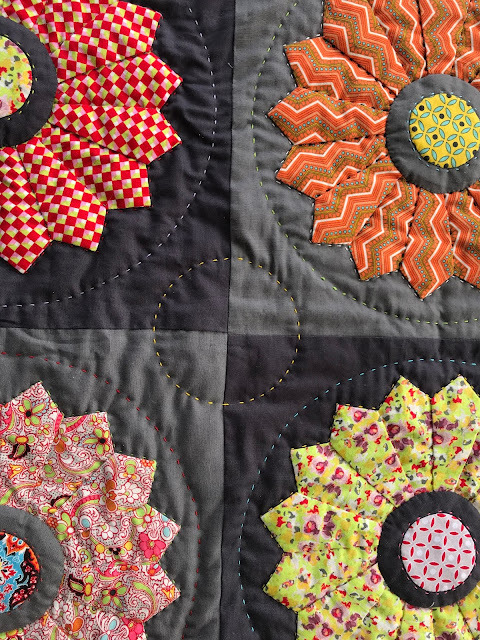 It’s hard to express the joy I feel looking at your quilt other than it is like sunshine for my heart! Thank you! I took your advice and it's going to be scrappy, scrappy, scrappy! With any luck, I'll have it finished this evening. To confuse you, I would use a gray, to keep the eye centered on the lovely designs. WOW! Absolutely beautiful, an heirloom for sure. Every stitch is so important! Thank you! I hope my kids cherish it for years to come. I must actually remember to attach a label to this quilt. 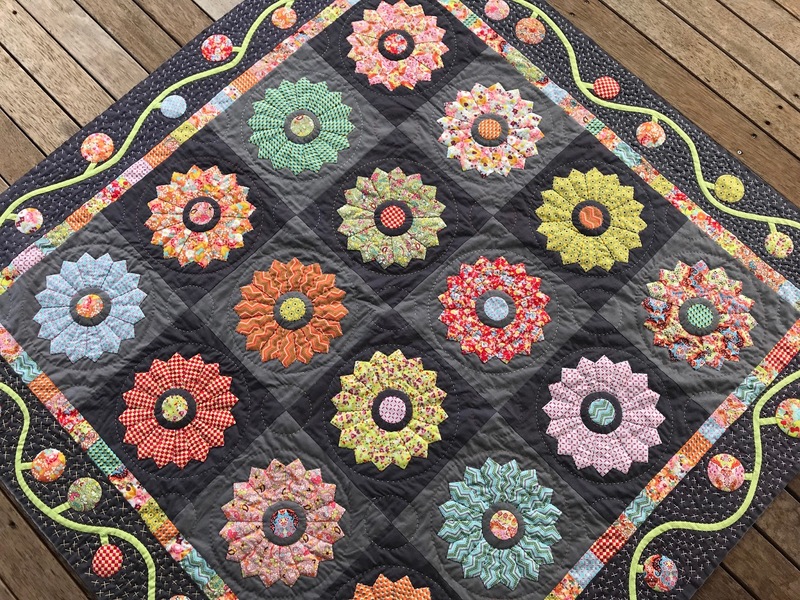 Stunning quilt , I would do a scrappy binding for sure ! Scrappy all the way! Yay! 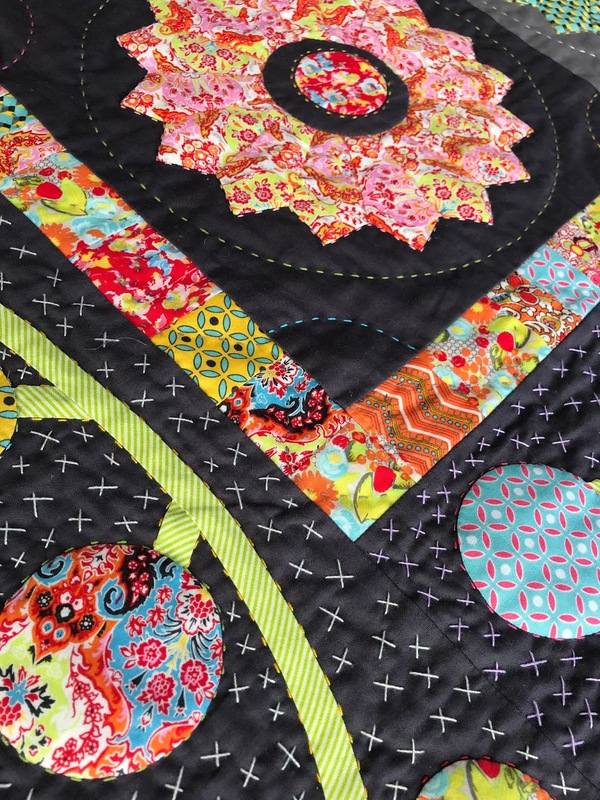 A really stunning quilt, I love the backing and the reason for it!! Brilliant! The backing is just lovely. 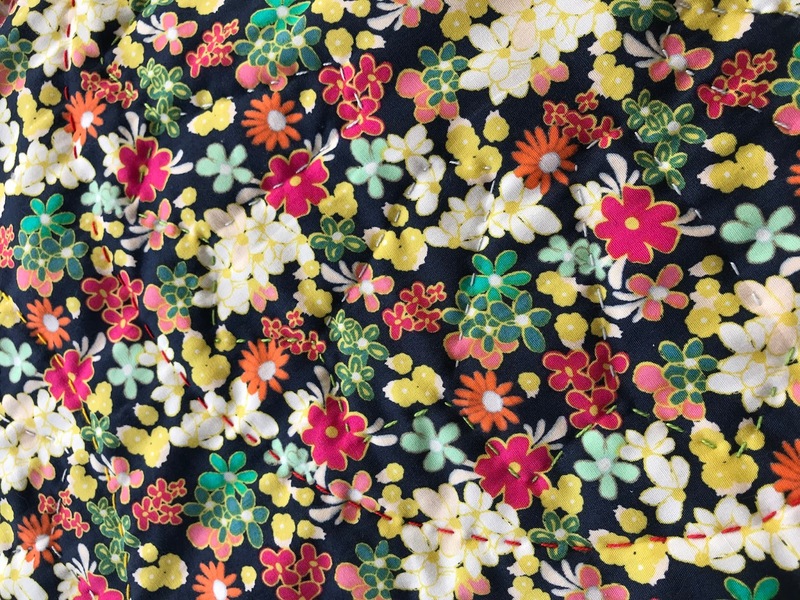 I bought about 5 yards of this fabric a few years ago (because it was on a very, very good sale) and it sat on my shelf for the longest time. I guess it was just waiting for the "right" project. Thank you Jen. This quilt was just calling for the scrappy border wasn't it? I'm a sucker for the scrappy look in quilts.